This is the other end of the tunnel that was dug under the Roman emperors Titus and Vespasian. Vespasian reigned until 79, then his son Titus took over. The purpose of the complex was to shunt off water that might flood the city that now is Çevlik and formerly was Seleucia ad Piera. 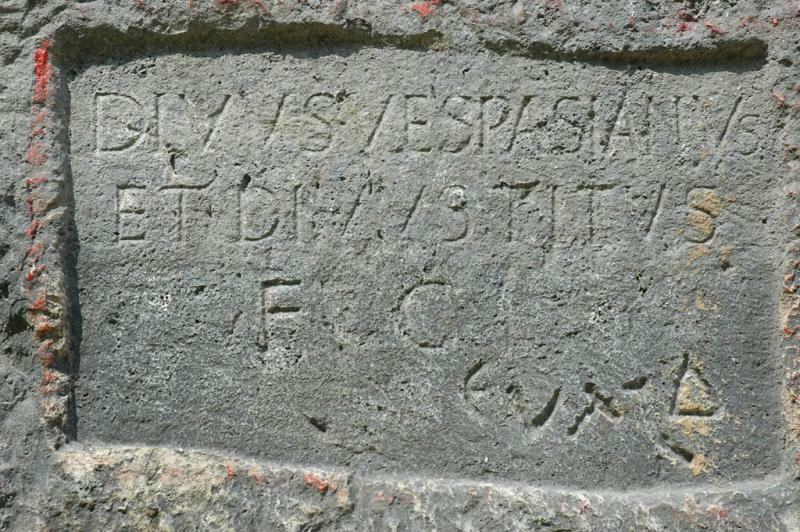 This is the inscription memorating the feat.